Resort living at its best in Scripps Ranch. This stunning highly upgraded home offers seamless indoor/outdoor living. Seller spared no expense when upgrading this beautiful home. Including a gourmet kitchen w/California French Cabinets, granite counters, Heirloom black walnut island & upgraded SS appliances. New A/C. Brazilian Rosewood Hardwood floors. Upgraded bathrooms, plus new steam shower. Plantation shutters. Gorgeous yard w/pool/spa & professional landscaping. Close to top ranked schools. NO HOA!, Spacious Master bedroom w/bamboo flooring, upgraded bath, sky lights & dual closets. The manicured grounds of this home are so impressive with the lush & colorful landscape. 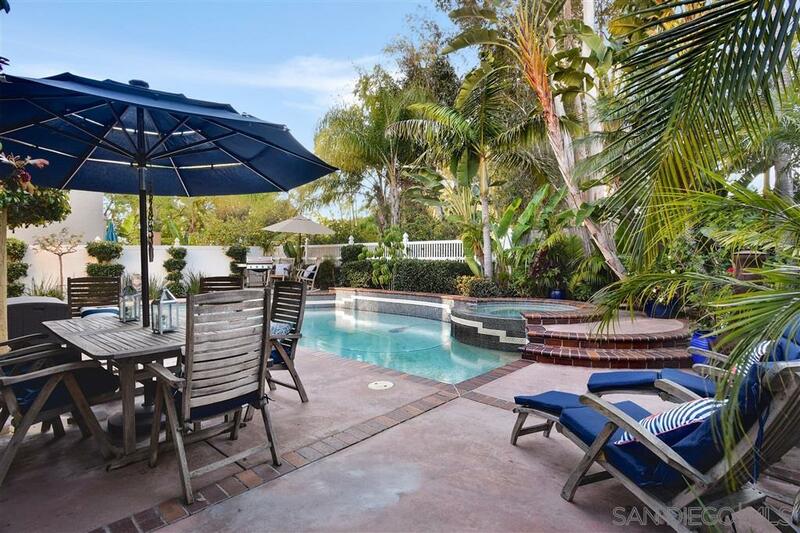 The private resort-style backyard is ideal for entertaining with an oversized pool/spa, the lush & tropical trees and plants that surround the property. Close to top schools, shopping and parks. NO HOA or Mello-Roos, Do not Miss!